The National SAR has produced several lesson plans and other resources for educators to use in their classrooms. These lesson plans are proven methods to give students and the general public hands-on, engaging material to spark an interest in the American Revolutionary War era. Access the lesson plans directly from the National SAR using the button. 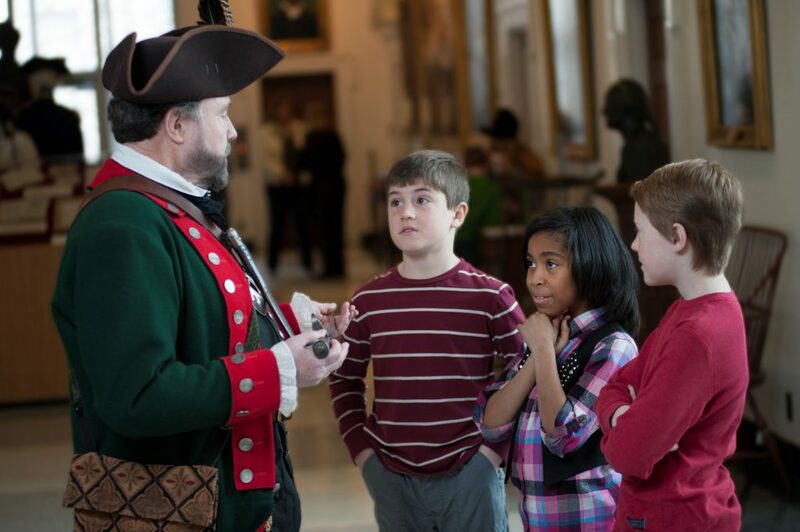 Over the years the SAR has developed dozens of presentations educators can use right in their classroom to help teach about the Revolutionary War. These educational videos come in different formats including documentary style and event recordings. On the right you can watch the first half of SAR’s presentation titled “France’s Contribution to American Independence”. This fascinating documentary portrays a clear picture of how France was instrumental in America’s fight for freedom against the British. Presentations just like this one are available for viewing on the National SAR website, simply click the button below to see more. 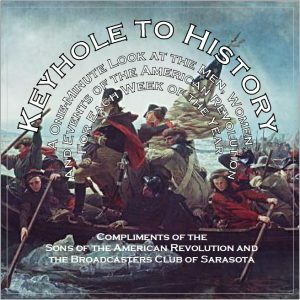 The SAR produced a year-long audio series titled “Keyhole To History”. These 52 one-minute audio stories are a perfect daily addition to any classroom’s curriculum. You can listen to Week 1’s story on Betsy Ross using the audio player to the right. Access all 52 audio stories and other audio materials from the National SAR website via the button below. The SAR invites students of all ages and grades to get involved and discover their patriotism by participating in a SAR sponsored and operated contest. From written essays to verbal orations to poster competitions the SAR has a variety of contests designed for every age. Contests are judged on a chapter, state, and national level and award prizes at each level. Click the button to learn about the wide variety of contests available through the SAR. The SAR Youth Exchange Program is an opportunity for youths from France or the United States to visit the other country for a period of two to three weeks. The program involved the children and grandchildren of SAR members in France and the United States and was first implemented in 2008 and 2009 and has been a resounding success. The exchange includes young ladies and gentlemen between the ages of twelve and twenty years old. This program has proven to be a wonderful opportunity for young people from both countries to experience a different culture, develop new relationships, and share our mutual heritage of freedom. During the summer of 2010, the SAR had six youths participate in this program. The American youths were from Santa Ana, California; Concord, North Carolina; and Jacksonville, Florida. The three French youth participants from France were all from Paris, France. To learn more about the youth exchange, how to get involved, and how to participate visit the National SAR website via the button below. Our Education Coordinator is John Stewart. John can assist educators and answer any questions they may have about the SAR Education Mission. Additionally, John performs classroom reenactments of Thomas Jefferson and is available to teachers throughout Pinellas County. John’s commitment to the preservation of the lessons and examples of historic early American personalities is complemented by his work as past President of the Palm Beach and St. Petersburg Chapters of the Sons of the American Revolution, and his continuing work as state chair of the annual SAR Knight Essay Contest for high school students. You can reach John Stewart with quesions via email at educator@nullstpetesar.org!